I used to reserve cream makeup products for travel. Their multipurpose nature made them an easy way to minimize the makeup (and brushes) I needed to pack—and I loved how effortlessly I could apply them with my fingers for on-the-go application. 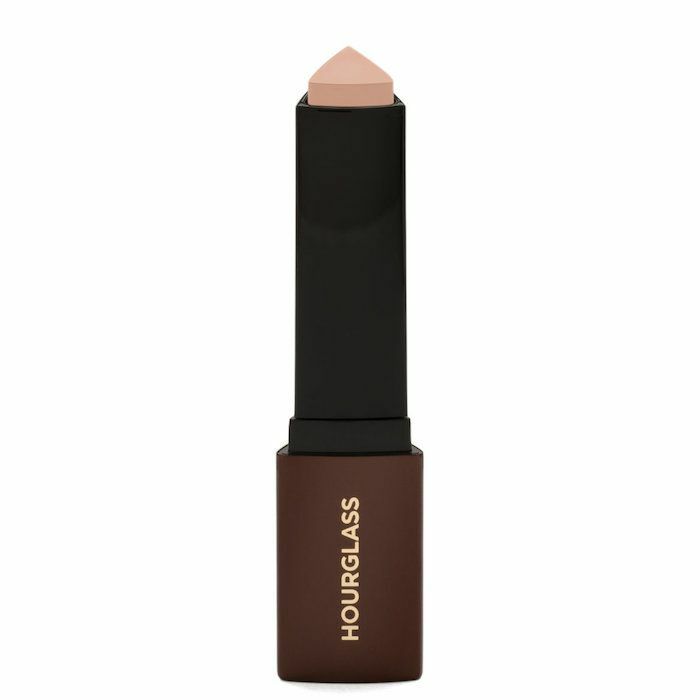 I first got hooked on the now sold-out Hourglass Illume Color Trio ($62), which made me realize that cream formulations help achieve that dewy I’m-on-vacation finish. But cream makeup isn’t only helpful when you’re traveling. It can be a saving grace when your complexion is going through a rut—especially when it's not used to a season change. I learned that the hard way when I moved from L.A. to Philly last summer. Though I’ve spent most of my adult life in the northeast, I somehow forgot the cold hard truth of legitimate weather while soaking up the California sunshine. There are few things in life that are guaranteed to be almost instantaneous—Cup Noodles, Kylie Lip Kits selling out, and, of course, how quickly one adjusts to SoCal living, especially when It comes to skin. The steady warmth and endless sun of L.A. days do wonders for the complexion, serving up the right dose of vitamin D and imparting a year-round glow. How quickly L.A. transplants forget about a little thing called "seasons." With seasons out of sight, out of mind, my skin had become spoiled by 70-degree days and 50% humidity. Pampered into helplessness and unequipped to face anything below 55 degrees, my skin struggled through its first round of seasons back in Philadelphia. The first windy days of fall were a cruel reminder of what it was like to have to prepare my skin for the elements. The first time the temperatures dropped below 40 degrees was a wake-up call that I’d need to do something for my skin, stat. I tried a skincare diet and stocked up on moisturizers, but it wasn’t just my skincare routine that needed some reevaluating now that I was facing things like windburn and incessant dryness. I have sensitive skin that doesn’t hide its struggles. That said, my old makeup moves—that were applied to my spoiled L.A. face—no longer cut it. Powder makeup sits right on the surface, pointing a spotlight on my dry flaking skin and wind-induced rashes. Even eyeshadow cakes along my eyelids, drawing attention to dry patches, and only the right lip formulation keeps my lips from cracking. But one product category that’s turned my beauty look around? Cream makeup. I soon overhauled my makeup bag and adopted cream formulations for my standard product lineup, from foundation to eye shadow to lip-and-cheek color. Creamy formulations blended beautifully on top of protective layers of moisturizer and were easy to reapply mid-day when my skin needed another fix of hydration and a makeup refresh. Below are some of my favorite cream makeup products saving me until my skin realized it’s not in L.A. anymore. I’ll admit I fell in love with this cream foundation stick about a year before the northeast winter made me commit to it daily. Because I rely so much on moisturizer and am forced to reapply it throughout the day, I keep my foundation light and apply on an as-needed basis. In the morning, I’ll quench my skin with a couple drops of Drunk Elephant Virgin Marula Luxury Face Oil, then dot the foundation stick onto problem areas, lightly around my nose (which often shows redness) and a couple dots on my cheeks just below my eyes. Especially when layered upon the oil, the foundation blends evenly for light but effective coverage. I’m more of a bronzer than a blush girl and use it almost daily just to add a bit of dimension and color to my cheeks. This bronzer is buildable and so easy to apply with just a swipe of the fingers—it melts right into the skin for a natural finish. 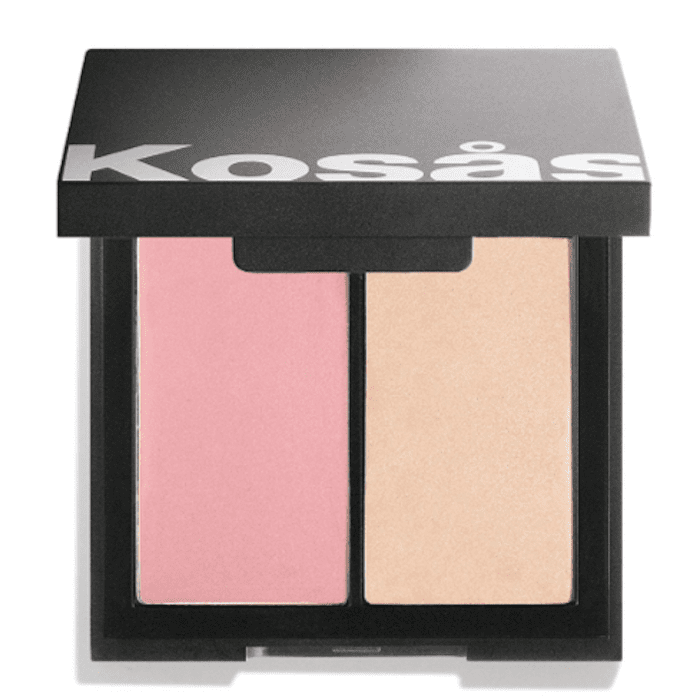 When I do desire an extra pop of color via blush, I love a product that can multitask. This cruelty-free lip and cheek duo makes beauty easy, going on smooth and playing double duty for a natural rosy flush on the cheeks or a hint of bitten color on the lips. 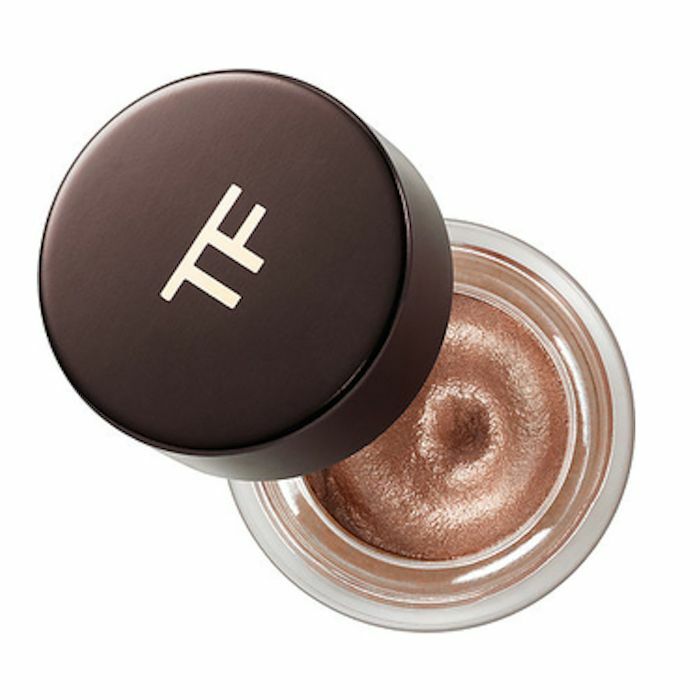 This cult favorite delivers all the ultra-pigmented impact without the worry of caking or flaking. 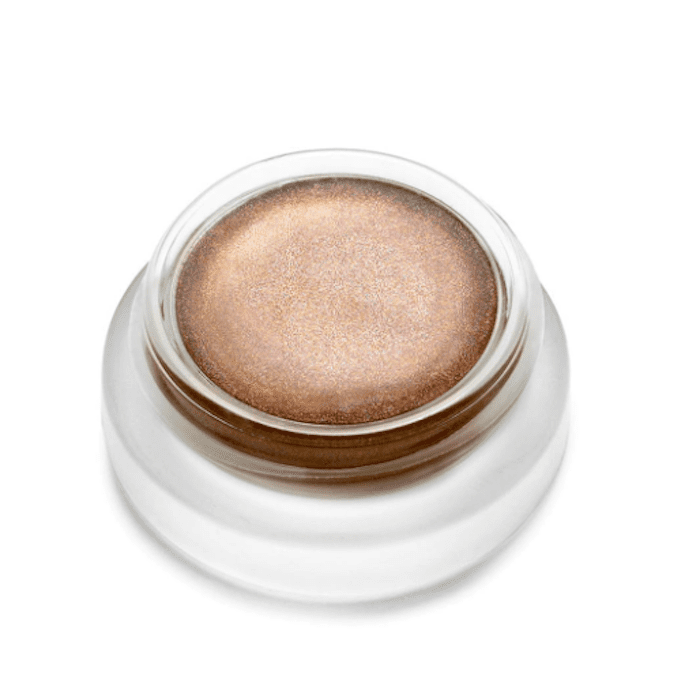 Instead of drying out or creasing, the creamy formula glides onto the lid and stays put once you put it on. I have perpetually chapped lips which only worsen in the winter. 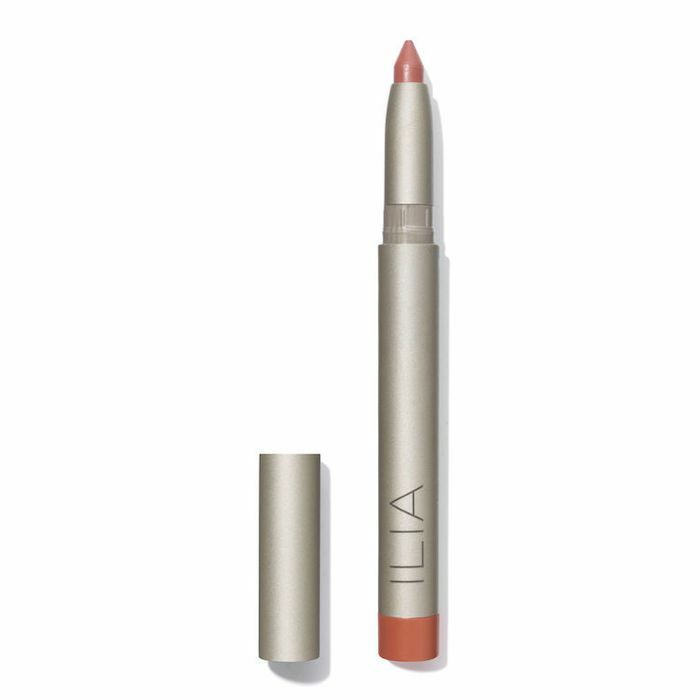 If I’m not nixing lipstick altogether for a hardworking balm, Ilia is one of the only brands I rely on to moisturize my lips while also delivering color. 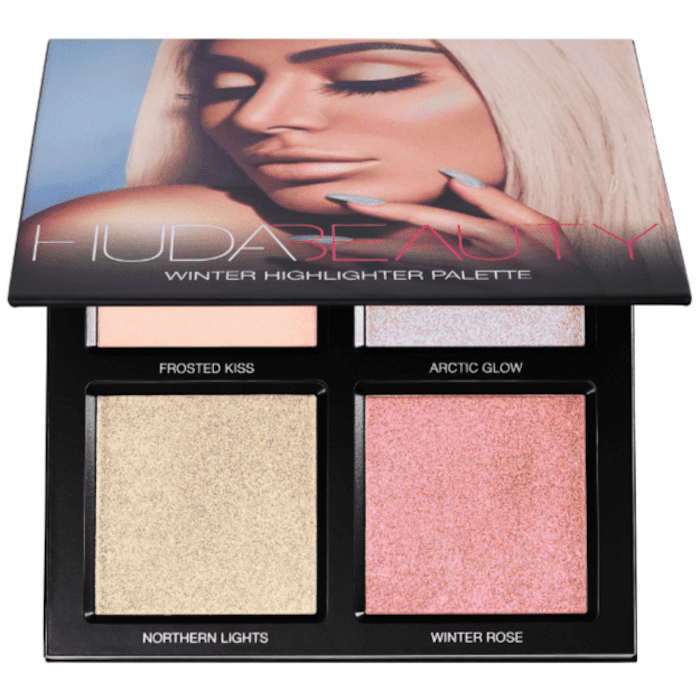 I became a devotee of Huda Beauty’s Highlighter Summer Solstice Palette after Patrick Ta named it in his Just Five Things. This wintry take offers up cool tones in a pearlescent cream like a holographic highlighter and a dusty pink for an icier finish. 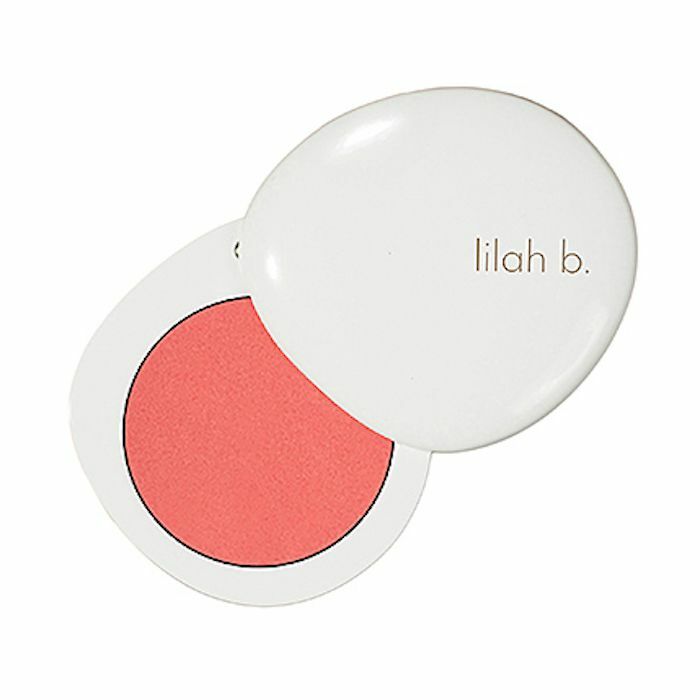 When you’re looking to consolidate your makeup bag, a cream blush-and-highlighter duo is a godsend. For a midday pick-me-up without pulling out the eyelash curler or heavy-duty products, a delicate application of moisturizer followed by highlighter along the cheek and brow bones and a touch of blush on the apples of the cheeks can reawaken your makeup look with minimal effort. Since I don’t do a super pigmented eye shadow unless I’m going out, I love the option of adding a touch of shimmery color during the daytime. This new release from Supergoop! 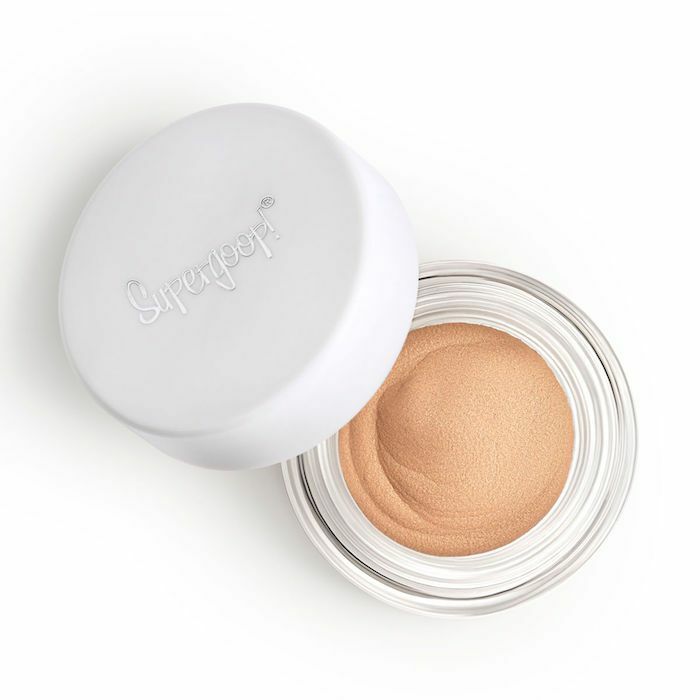 is super subtle so works great as a base shade and even boasts SPF for an extra layer of protection—especially cool since I usually avoid the eye area when applying sunscreen on my face. Looking for the right base? Try these 12 primers for dry skin to keep your glow 100.